Many marketers today are focused on obtaining and achieving growth. Growing traffic, growing leads, and ultimately customers. But as a marketer you have a lot of choice in the CMS platform you decide to use to help power that growth. This page will help you decide what’s right for your business in 2018. HubSpot CMS combines website creation, management, and optimization with the power of a CRM to customize the entire customer journey, streamline marketing and sales alignment, and deliver true closed-loop reporting. Wordpress is an open-source CMS platform, that grew from it's roots as blogging software. Wordpress is an individual solution to create content, but requires additional integrations or software to attract, engage, and delight customers. Creating content that attracts people to your website is fundamentally where your marketing journey begins and also where you start likely utilizing HubSpot, or Wordpress. Let's dive in. Your blog is the first-step to creating content that attracts potential customers. Content on your blog should answer questions prospective, and existing customers have, thus starting to grow authentic one-to-one relationship with every visitor. Your blogging software should not only help you create great content, but more importantly, optimize that content for getting found in search. WordPress was originally built as blogging software, but has evolved into a platform that, depending on the theme and customizations you use, may require a technical developer or I.T. to manage and optimize. Blogging with Wordpress comes out-of-the-box, but if you want to optimize content, or your entire site (more on this later) for search engines, it will require plugins. In comparison, HubSpot was built from the ground-up for marketers and provides an interface that enables you to write, optimize, publish, and analyze blog content in one-place. With HubSpot, no plugins or extra software is required to serve great looking content on mobile, and optimize content for search engines -- it's all included. After creating a blog, your next step is to create content depth on relevant topics to your business. Using Landing Pages you can create a long-form page that explains everything about a topic, such as Facebook marketing, run a webinar or event, or host a resource for visitors to download. Landing pages are versatile and can be adapted to multiple purposes based on what your audience, is interested in. In Wordpress, creating Landing Pages is similar to the creation of a blog post, if you are just adding text content or images. However, if you want to alter the layout of the page, it may require a developer to edit an existing template, or create a new template. Depending on your goal for the landing page adding additional options, like a form, will also require additional software in Wordpress. 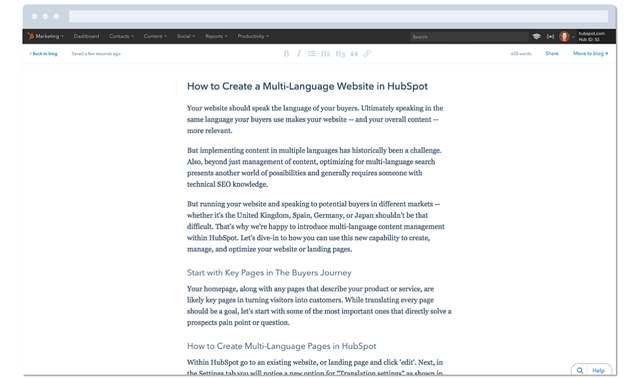 With HubSpot everything you need to publish, tailor, and optimize a page is available right within the HubSpot CMS. Select the template you want that already matches your branding, or start from scratch from thousands of free or paid templates available in the marketplace. Every template is mobile optimized and the natively supports drag-and-drop modules for easily changing the layout of pages. If you want to add live chat, form, or a CTA to your page it's all integrated and available in one-click. Your website is your best salesperson. As a result, you want to take all of the interest you’ve generated from your blog and landing pages and grow that relationship with visitors, and turn them into customers. Your CMS should ultimately help you not only create a great site, but keep it updated, and turn more visitors into customers. WordPress is arguably best-known in the website space. Recent numbers suggest that WordPress is directly tied to roughly 25% of all websites on the Internet.With Wordpress you can easily create text-based site pages, but similar to landing pages, it may require additional resources or templates to change your website. Creating a personalized experience in Wordpress requires additional software and subscriptions. HubSpot is the professional marketers CMS. 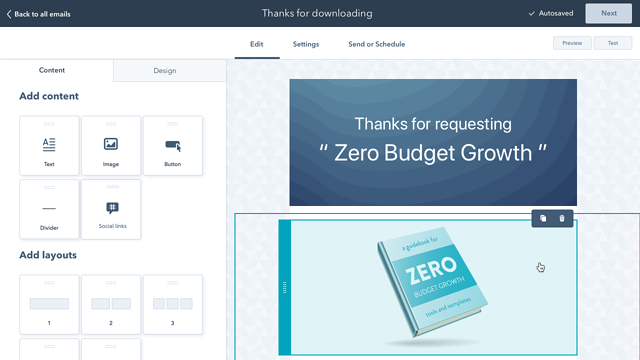 Just like landing pages, marketers can easily change the layout of pages using drag-and-drop templates, select from thousands of templates on the marketplace, or work with certified agencies to help build a website to grow your business. 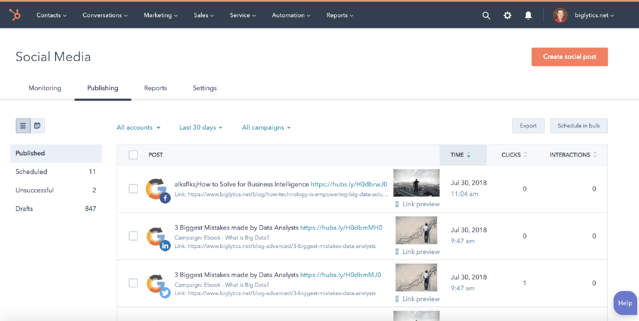 Because HubSpot CMS is built on-top of CRM, all the data you need to tailor the customer experience is available at your fingertips and align with sales. "Prior to hosting our Website on HubSpot, the process of updating on-page content was extremely laborious. Furthermore, the ability to create Landing Pages, Smart Forms and dynamic CTA’s meant bringing in an outside graphic designer, copy writers and our own internal IT team. With HubSpot's CMS, we can accomplish all of this with one in-house resource; on the fly"
While most Content Management Systems (CMS) are designed to help you create and publish great content, many don't really help you attract people to that content. It goes back to the old adage... if you build it, they will come doesn't necessarily apply here. Just writing content doesn't mean more traffic. Writing great content that's optimized for SEO does mean more traffic. Wordpress doesn't come with any native SEO functionality, but does have a number of plugins -- some paid, some free -- which can help. Keep in mind, more plugins means software management, cost, and headaches when it comes to maintenance and security concerns. According to some vulnerability experts, outdated plugins are a massive problem and just one way that hackers can steal information or get control of your site. HubSpot CMS includes on-page SEO tools built-in to blog, landing pages, and website page creation. Whether your creating a page for the first-time, or updating content, you can optimize content for search from the start and get your brand displayed prominently in search results. Some editions of Wordpress include limited reporting on content -- like page views -- but require another solution for any deeper analysis. Most marketers choose to use Wordpress in addition to a paid analytics tool, or Google Analytics and manage each system separately. With HubSpot CMS, all of the analytics you need are included to measure the performance of your website and data to see the ROI of your website. As you grow, we'll grow with you and more advanced reporting is available. Besides, adding more times, and more cost slows down your marketing and requires learning another tool. Who has time for that? With Marketing Hub Starter and HubSpot CMS, email is built right-in and shares the same contact database across the platform so any details you capture from a form, live chat, CTA, or anywhere else that's connected to your account, can be utilized in email and personalization. Whether you're setting up an email campaign to turn prospects into leads or looking for more advanced nurturing, it's all possible with the Marketing Hub. Soc ial media has become the way we connect and interact with influencers, customers, and prospects. All of the content you create can be a great conversation starter - so naturally, the tools you use should make it easy to not only share on social, but get involved in the conversation as well. Using Wordpress you can natively add plugins to share content on social, but monitoring company social accounts and interacting requires another tool, or set of tools. Within Marketing Hub Professional you can monitor, share, and get involved in the conversation with customers in social media all with the context of your marketing database. Using the Marketing Hub you can schedule social messages, upload videos across networks, monitor for key trends and hashtags, and directly have conversations in-app. Speed - Visitors expect your site to load quickly, or they will start looking elsewhere. According to Google, 53% of visitors will abandon your site if your website doesn't load in 3-seconds, or less. Ensure when you choose a CMS or hosting provider, that the bandwidth you are getting is adequate to meet your needs and their infrastructure is setup for your success. 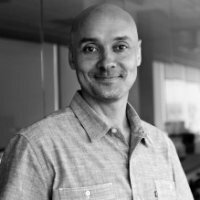 Security - As a marketer it's important to keep your user's data secure, but also protect your company brand and reputation. Ensure you talk to various marketers, look at reviews, and do your research about hacking incidents before making a CMS choice. Stability - For most companies today a website that's down, means lost revenue and opportunity. Most prominent CMSes publish, or at least willing to share, uptime data that points to reliability. At HubSpot, we have 99.999% uptime and a dedicated team that is constantly making websites hosted on our CMS faster, more secure, and more reliable. HubSpot was built so marketers don't need to know code, or have deep technical knowledge to use it. Our platform recognizes that marketers and business owners should be able to create content, a website, and drive demand for their business without the overhead of technical challenges. 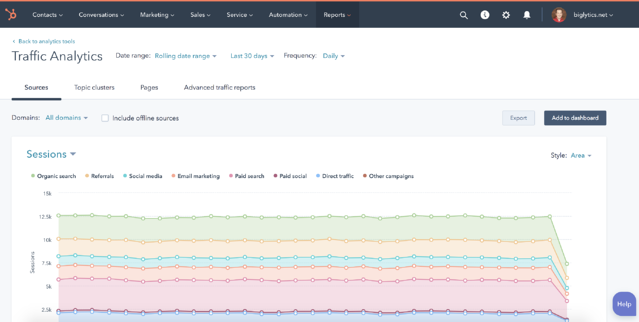 With one consistent interface, HubSpot gives you a full growth platform to plan, create, and measure content and nurture visitors to turn them into customers. Wordpress was built as an open source platform that primarily utilizes a programming language called PHP. While Wordpress has evolved significantly, achieving the best results requires customization which traditionally requires a developer familiar with programming. As a result, marketers and small business owners will likely require help to launch campaigns or make changes to their website. Software continues to evolve and improve, but updates shouldn't break your website or any content. Since Wordpress is open source, infrequent updates are made to the core product, which can affect other aspects of their software like plugins. As a result, a technical resource is required to test plugins and updates before rolling them out to ensure that a plugin doesn't suddenly stop working once an update is installed. HubSpot employs a world-class engineering team that frequently updates our cloud hosted software. Based on research and user testing we consistently strive to make the HubSpot Marketing Platform better. 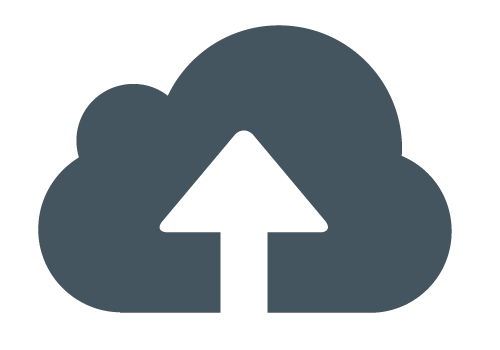 With HubSpot all updates happen in the cloud behind the scenes so your never have to worry about about software updates. Security has become a crucial topic for marketers and small business owners. It seems a day doesn't go by without another report of a massive hacking incident, or news about user information being stolen. While hackers used to just target large government institutions and corporations, they are not turning sites to any vulnerable website. Wordfence recently measured the number of attacks and saw 16,000 attacks per minute against various Wordpress websites. If you utilize WordPress, visit the page Hardening WordPress for more details on protecting your website against security breaches. Let's look at some of the differences in security from HubSpot and Wordpress. Everyone has questions, or needs help occasionally. With HubSpot you have access to our full support team to help answer questions at anytime. In addition, join the HubSpot community and participate in the discussion, or a local HubSpot User Group in your area. Want help from a certified HubSpot partner? Check out the HubSpot Partner Directory with over 3,000 partners all over the world that can help you with anything from running an inbound marketing campaign to website redesign. We're here to serve and delight HubSpot customers. Have a question? Our team will help find answers and guide you along the way to success. Personalized help to maximize the value with HubSpot. Get personalized help from a Designated Support Engineer that works directly with you and your team. Get help from a certified HubSpot partner. Whether you need help with a campaign, or are doing a site redesign, 3,000+ partners are here to help. Join thousands of marketers in the HubSpot Learning Center where you will find step-by-step instruction and best practies on inbound marketing, demand generation, design, and more. Track your progress and get certified along the way. 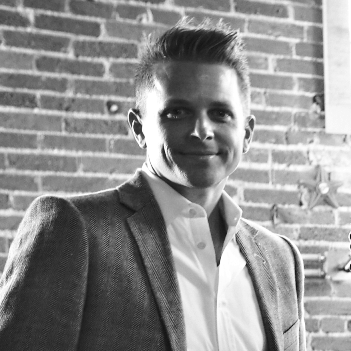 In addition, classroom training is available for a deep dive into inbound marketing. Cost is an important factor in selecting the right set of tools to help grow your business, so let's dive-in to a quick overview on cost for HubSpot and WordPress. 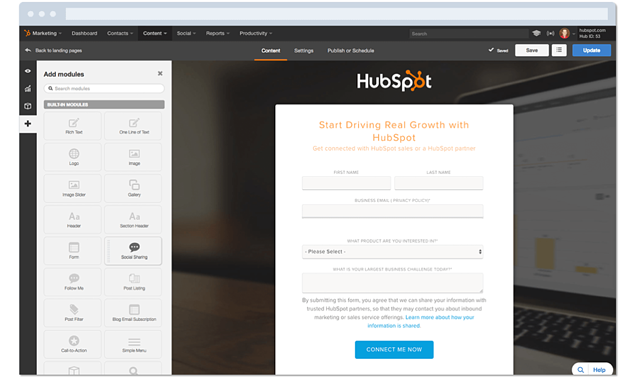 HubSpot gives you an all-in-one growth suite with everything marketers need to do their jobs. The platform has extensive capabilities from content creation, to management, and analytics to get the most out of your marketing. There is also constant support, services, and ongoing free training from HubSpot Academy. Check out the ROI many companies have experienced using HubSpot to grow their business. WordPress is open-source software that can be downloaded for free, but then has significant costs associated for hosting, security, plugins, integrations, themes, and more. As a result you can build an inbound marketing platform with WordPress, but often at a higher cost with disparate tools that require numerous hours connecting, then learning. If you're looking evaluate the cost of Wordpress vs. HubSpot speak with one of our Inbound Growth Experts by clicking here. The advantage of HubSpot was that we got 8-10 extra features. To go out and purchase that from a consulting agency or to buy software would have cost us ten times more. Check out a few of the customers that have moved from WordPress to HubSpot. Customers, partner agencies, and others have written numerous articles comparing HubSpot vs. WordPress. Read analyst and third-party comparison articles that compare different CMS platforms. 4. Yottaa: Benchmarking Performance of 8 CMS Platforms: Who Is Slowest? 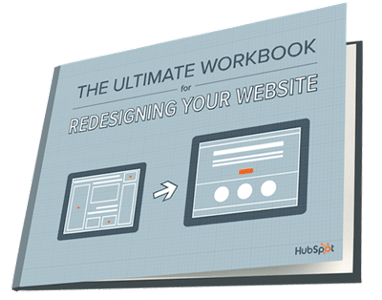 Check out HubSpot's marketing library filled with resources to help you on your next website redesign. HubSpot's new WordPress blog importer makes it easier than ever to migrate your content to HubSpot. This tool is only available to HubSpot Customers. How strong is your website? Find out with Website Grader by HubSpot and get detailed tips on what you can do to improve.